Not many new releases have made much of an impact on me during the last month. 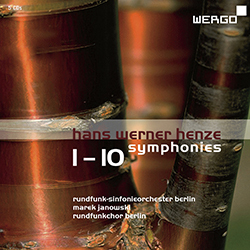 Among the few that have, though, is a new box set from Wergo bringing together all ten of Hans Werner Henze‘s symphonies, performed by the Rundfunk-Sinfonieorchester Berlin conducted by Marek Janowski. Henze’s symphonies were an early interest of mine; as a teenager i became closely acquainted with the Deutsche Grammophon recording of the first six symphonies made by Henze himself with the Berlin Phil. i say ‘acquainted’, but at the time i was semi-mystified by various aspects of these pieces, and i’m not sure that the passing years or Janowski’s superb new rendition of them has made that mystification any less present. Which is not to say these symphonies are baffling or unengaging—not in the least—yet Henze’s mode of speech takes more than a little getting used to, and his inclination to veer between extremes can be decidedly disorienting. Those first six symphonies remain a challenge, and to no little extent they are ‘symphonies’ only in name, inclining more towards the heightened drama of music theatre. This, in fact, is a characteristic of all 10 symphonies, which is in turn one of the main facets that prevents them from sounding problematically abstruse; their swift adjustments and shifts between states—of behaviour, atmosphere, emotion, charge—is exhilarating and continually offers new ways into the often churning underlying mood. i mentioned extremes, and the other primary aspect of these symphonies is Henze’s gift for bestowing on them an almost unbearable level of energy while at the same time exhibiting a propensity for effusive lyrical outbursts. To describe any of these symphonies as ‘beautiful’ is perhaps to sell them short and/or false, but their interplay across such a broad continuum heightens the power of each extremity, and when Henze opts for gentle, tender music, its delicacy is just exquisite. Yet that’s not what remains: the symphonies are big, brash and sometimes—especially in the choral Ninth Symphony, perhaps the best of them all—incredibly brutal. These recordings are wonderfully detailed, a landmark achievement that serves as a stirring tribute to one of the twentieth century’s most radical symphonists. Extremes of a different kind are to be found in the latest release from Chicago-based experimental duo Coppice. The word that springs to mind every time i listen to their work is friction, due to their output emanating from a variety of mechanical devices, chiefly a prepared pump organ. This is entirely foregrounded and emphasised, filling their music with creaks, squeaks, scrapes, clatter and air noise, sounds that are often so crude one has to overcome the urge to hear them as superficial disjecta membra, secondary artefacts littering the primary material that lies beneath. But Coppice’s work is deliberately constructed from these—to use the term literally—raw materials, formed into textural pieces that invariably defy received notions of structure and development. The last couple of years have seen their most sophisticated and subtle work (2013’s Compound Form and last year’s Vantage/Cordoned are both stunning), and their most recent album Cores/Eruct, released on the duo’s own new label Category of Manifestation, continues to push the bar ever higher. 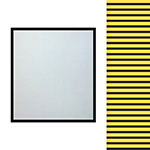 Drones are pivotal to several of its five pieces; ‘Bluing’ splits the stereo frame down the middle (noise left, drone right) until an abrupt co-mingling at its conclusion, whereas ‘Seam (Kinder)’ focuses on an uncanny bass judder appearing to be the by-product of an industrial machine with, seemingly, a mind of its own. But most striking is the 13-minute piece at the album’s epicentre, ‘While Like Teem Or Bloom Comes (Tipping)’, which alone features recognisable consonance, in the form of frail pitched sounds (faintly reminiscent of parts of Deathprod’s Imaginary Songs From Tristan Da Cunha); these are intercut with repetitive percussive mechanisms and grindings, forming a jump-cut cluster of symmetrically-balanced episodes, with noise at its core but book-ended by beauty. 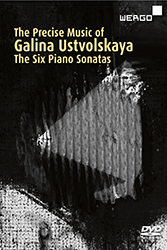 Yet more extremes are to be found in the six Piano Sonatas by the great Russian composer Galina Ustvolskaya, heard and seen to good effect on a new DVD from Wergo. Ustvolskaya’s music has an enormous capacity for emotion, despite the fact that, superficially, it appears to be composed as deliberately aloof as possible. Metres and pulses are fixed, rhythms are heavily quantised, dynamics alternate between moments of soft delicacy and—more usually—minute after minute of relentless fortississimo poundings. Personally, i’ve always found her music intoxicating, and very moving indeed, and it’s therefore a shame that she remains a somewhat neglected and certainly misunderstood composer. Her music doesn’t really sound like anything or anyone else, although the general inclination of the sonatas to counterpoint does give them a certain blunt force baroque similitude. This recording is from a live concert from Moscow in 2011, with each sonata performed by a different pianist, and the opportunity here to see the performances is invaluable, demonstrating the physicality demanded by Ustvolskaya (her dynamics go as high as ffffff, and rarely fall below fff; not works for the weak-fingered). Out of all the poundings, chromatic clusterpunches and machine-like metrics, emerges a music that constantly feels as though something essential is being worked out, or worked through. Among the many highlights to be heard here are the close of the Second Sonata, where opposing ideas are finally brought together, the result, far from united, sounding overwhelmingly troubled and mysterious; the tension contour of the epic Third Sonata, featuring three intense high points that nonetheless don’t feel in the normal sense like climaxes; and the immense jackhammer repetitions of the Sixth Sonata, some of the loudest music ever composed for the piano, yet within which can be detected glimpses of melody, plus moments of incredible quietness (practically inaudible after what went before) shortly before the end. But the pinnacle for me is the Fourth Sonata, which contains real drama; early on it successfully melds two distinct behavioural types, but as the piece progresses, its gruff assertiveness consistently is undermined by retreats into shadow, leading to a gorgeous wistful conclusion, bathed in pedal resonance. Taken together, these six sonatas are a dazzling experience. Some other recent releases worth noting include Gabriel Ledoux‘s Le vide parfait, the first release on the Acte label and a very curious thing indeed. 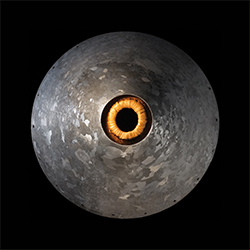 Ledoux draws on recordings from various atrocities—the Jonestown massacre, the Waco siege and the Columbine shootings—as elements in his work, although quite what Ledoux’s ultimate aims are in doing this remain somewhat unclear. He frames them within sections of electronic and chamber music such that the whole resembles a kind of patchwork; these sections are often strikingly beautiful, but it begs the question to what extent Ledoux is ‘commenting’ on the highly charged content of the field recordings or simply using them as anecdotally-charged blocks intended to bring something incendiary to the proceedings. In his programme notes, Ledoux acknowledges the moral implications of this, which even cost him his Master’s degree; he wears this almost as a badge of honour, yet he doesn’t seek to explain or legitimise the purpose of the recordings within his music. All the same, there’s something intriguing about Le vide parfait as a whole, and Ledoux’s talent is often very striking indeed, producing passages that are by turns alluring and thought-provoking. Well worth investigating, but important (and, perhaps, insurmountable) questions linger above it all. Austrian clarinettist Susanna Gartmayer has recently brought out a short collection of pieces for solo bass clarinet on the GOD Records label. Titled AOUIE, vowels are used, singly and in a couple of pairs, to provide titles for the seven pieces, reflecting the related “formations of the mouth cavity that have to be performed in order to produce unique multiphonics”. Although relatively brief, they are each intensely-focused studies that chart interesting paths between clarity and distortion, as well as ease and difficulty. As far as the latter is concerned, several pieces sound extremely strenuous, such as ‘U’, where multiphonics emerge semi-strangled from their low fundamentals, but it’s immediately clear that these multiphonics are no mere distortions but are the subject and goal of the music; and also ‘UE’, in which the clarinet’s fragility makes its utterances struggle to attain coherence. The place and function of clarity is especially interesting; in the opening piece, ‘AE’, Gartmayer navigates through rapid low arpeggiations before an abrupt, clear melody at the close, leaving one wondering whether what preceded was a mashed-up rendition of it. Both ‘E’ and ‘I’ are tangentially related, the melodic line of each continuously sounding put upon, the former due to surface eruptions, while in the latter its engine-like momentum is subject to interference from an invisible external force. Superb performances; anyone fond of Gareth Davis’ bass clarinet workouts will find very much indeed to savour here. 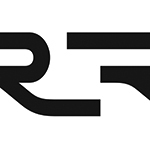 Electronics master Alva Noto (aka Carsten Nicolai) has recently brought out the third in his Xerrox series, subtitled ‘towards space’, out on Raster-Noton. Nicolai’s inspiration here is childhood memories of film and TV, including Tarkovsky’s Solaris and the adaptation of Jules Verne’s L’Île mystérieuse, La Isla Misteriosa y el Capitàn Nemo. In keeping with its predecessors, Xerrox Vol. 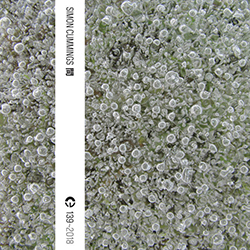 3 inhabits a very personal environment, founded upon broad washes of soft ambience, overlaid with bursts of electronic babble and semi-arbitrary burblings that more-or-less coalesce into melodic shapes. The slow, sedate manner of the first two Xerrox albums often suggested the solemnity of a ceremony, but Nicolai keeps things lighter on this occasion: materials are thinly-layered and clearly demarcated, and the general tone is one of buoyancy and lift, each track practically floating on its own thermal currents (‘Xerrox Radieuse’ is a lovely example of this, transfixed and balmy). Avoiding the tendencies so many ambient composers make when attempting to tap into the idea of outer space, Xerrox Vol. 3 instead offers something that manages to evoke immensity and things unknowable from the perspective of a lone, small individual, at once infinite and intimate. Finally, turning away from more recent releases, i’ve been catching up with some of Empreintes DIGITALes’s output from late 2014 and want to flag up a couple of highly impressive discs. 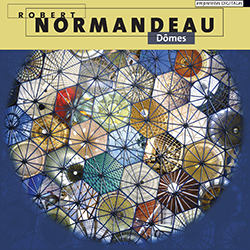 The renowned Canadian electroacoustic composer Robert Normandeau‘s latest offering is Dômes, featuring five pieces either revised or completed in the last three years. 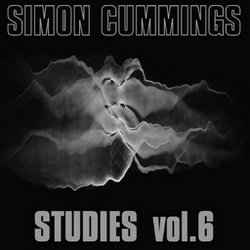 As in all his work, the interaction between familiar sound sources and their more abstract treatment is fascinating. Kuppel uses the bells of a church in Karlsruhe as an omnipresent pulse, pitch centre and point of perspective. Normandeau layers the noises of trams and a squealing door over these bells such that a strange kind of veracity appears, simultaneously life-like yet obviously artificial. Baobabs is the most obtuse piece on the disc, a 15-minute surreal stream of consciousness for four voices, six percussion and tape that persistently keeps one at a distance. Thankfully, it’s the exception to the rule. 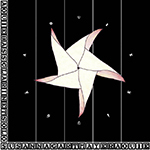 Hamlet-Machine without Actors and Pluies noires engage with theatrical drama; the latter piece, with the Bosnian conflict in mind, is a disconcerting aerated dronescape peppered with heavy dull impacts that seem to squash and leave dazed every other sound. They become reduced to extended whispers and gargles, occasionally marshalling themselves sufficiently to form potent but short-lived eruptions; a sense of struggle is palpable. The former piece also employs a drone at its centre, a beautiful, radiant core beneath shifting metallic/industrial strata. A work about “the oppression of man by society”, perhaps Normandeau locates humanity within this luminous core, in which case its persistence makes this a positive statement. La part des anges is the album’s highlight, though, an opulent, shining piece of pure sonic ecstasy, full of rich clouds of complex tonalities and the evocation of a myriad celestial voices. 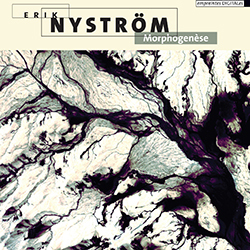 Very different but just as impressive is Morphogenèse, featuring music by Swedish composer Erik Nyström. Permeating all five pieces on this disc is an overt sense of evolution, as though the music was changing shape and manner in real-time as we listen. In Latitudes, everything begins from a simple bell strike, its resonance (which, although not always obviously, remains throughout) leading to a plethora of developments that, parallel to the notion of evolution, also suggest a sense of moving ever closer to something, in the process discerning increasing amounts of surface detail. The rather gorgeous sheen of this piece makes the effect hypnotic, but in works like Far-From-Equilibrium and Catabolisms Nyström’s concern is with sounds altogether more granular and fragmented. Yet these are moulded and compacted into startlingly present episodes where the music, bristling with organic energy, appears to muscle its way beyond the confines of the loudspeakers. Lucent Voids, at 20 minutes the longest work on the disc, makes both the deepest and most long-lasting impression. It could be heard as a synthesis or a summation of the other four works, embracing granular textures, extended pitch resonances, burly inner movement and gradual transitions of forms. But it transcends all of this, Nyström constructing a vast dramatic canvas that begins in the depths, passing through a hectic interplay of pitch and noise, and a number of increasingly vertiginous high points, to a place of genuine grandiosity, enveloping us in layer upon layer of highly variegated seams of material, dissipating into something resembling the crackle of vinyl mixed with an excited Geiger counter drenched by falling rain. Absolutely breathtaking. Anti-Spam Quiz: Hans Werner who?